Welcome to the world of Quality Tree Service!!!! 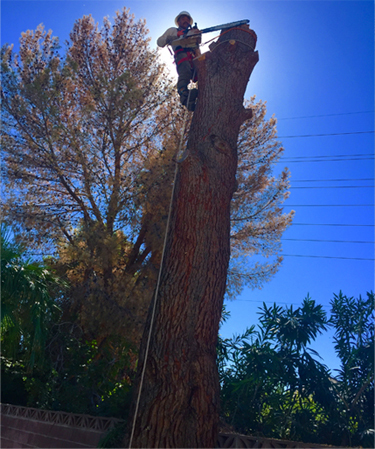 Here in Las Vegas, tree pruning and removal can have unique challenges. Issues ranging from accessibility, wires, and electrical lines to close to neighboring properties and and precise control of falling debris and clean-up. We are experts in these special circumstances with many years of professional experience and we take great pride in our problem solving when it comes to tree pruning and removal. We have the right crew, experience and technology to do the job safely, efficiently, affordably and quickly. Our tree service experts understand that tree removal can be a delicate and dangerous business. Leaving it up to amateur companies who are not prepared to handle the job can cost you more in the long run. 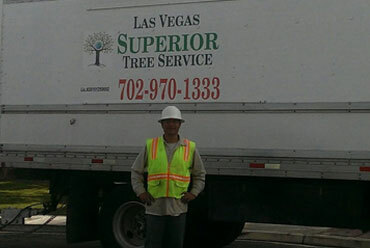 With our many years of experience removing trees in the greater Las Vegas area, we are the company residents turn to for removing even the most difficult tree from their properties, using the safest practices along with cutting-edge equipment to effectively remove trees with minimal intrusion. Why trust your tree removal job to just any company when you can relax knowing that our always in demand tree removal pros can accomplish your project with finesse and great customer care!